David Martin (September 7, 1639 – September 9, 1721) was a French Protestant theologian, pastor and Bible translator. He entered the ministry in 1663 and in 1686 accepted the office of pastor in Utrecht. He published an translation of the New Testament in 1696 and a translation of the complete (Protestant) Bible in 1702. 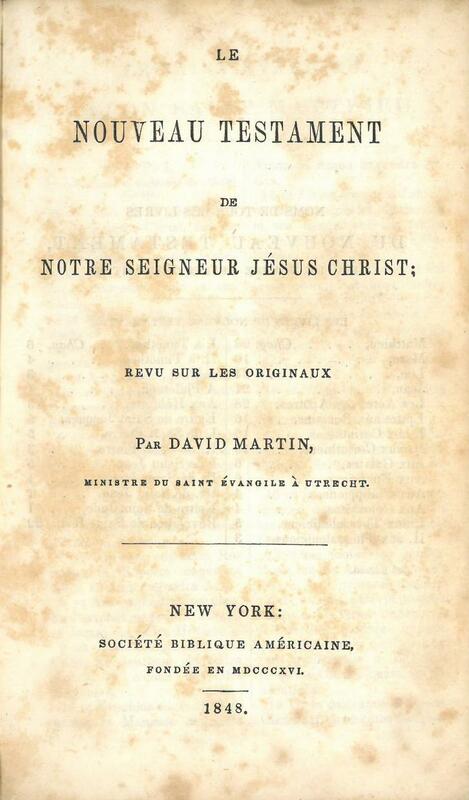 The first French Bible printed in the United States was the Catholic de Sacy version published in Boston in 1810. 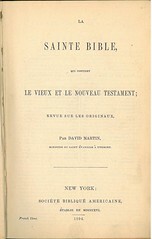 The first French Bible published by the American Bible Society (ABS) was the version by J. F. Ostervald; published in 1820. 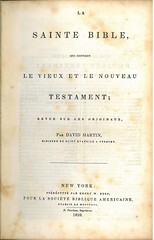 In 1839 the ABS published an edition of the Martin Bible with a separate edition of the Martin New Testament in 1846. The Martin Bible continued to be published until the 1890s using the same plates. 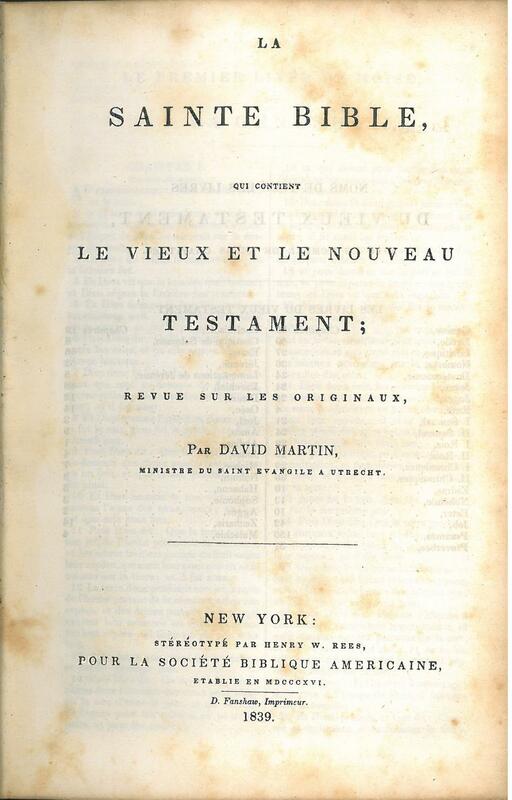 Title: La Sainte Bible, qui Contient Le Vieux et Le Nouveau Testament; revue sur les originaux, par David Martin ministre du Saint Evangile a Utrecht. Comments: This is the first printing of the Martin Bible by the American Bible Society. From left: ❶ 1839 edition title; ❷ 1849 (4th edition) title; ❸ 1858 (8th edition) title; ❹ 1894 edition title. From left: ❶ 1848 (3rd edition) title; ❷ 1849 (4th edition) title.